Why play a game to prepare for Yom Kippur? Shouldn’t we be “carbing up” in order to equip our bodies for the upcoming fast? Behold, in the day of your fast ye pursue your business, and exact all your labours. Behold, ye fast for strife and contention, and to smite with the fist of wickedness; ye fast not this day so as to make your voice to be heard on high. Is such the fast that I have chosen? the day for a man to afflict his soul? Is it to bow down his head as a bulrush, and to spread sackcloth and ashes under him? Wilt thou call this a fast, and an acceptable day to HaShem? Is not this the fast that I have chosen? to loose the fetters of wickedness, to undo the bands of the yoke, and to let the oppressed go free, and that ye break every yoke? Is it not to deal thy bread to the hungry, and that thou bring the poor that are cast out to thy house? when thou seest the naked, that thou cover him, and that thou hide not thyself from thine own flesh? Part of the purpose of our fast on Yom Kippur is to better understand that misfortune of the poor, and develop empathy for them, so that we can be inspired to make a difference in this world. Jenny Nicholson was tired of hearing how the poor are poor because they make poor choices, so she developed the game Spent so that people could see the kind of choices they would make if it was their turn to be flattened by the economy. I played Spent and got through the month with a little cash to spare, but I made choices I wouldn’t make in real life, like letting my dog die to avoid a veterinary bill and denying my kid lunch money. 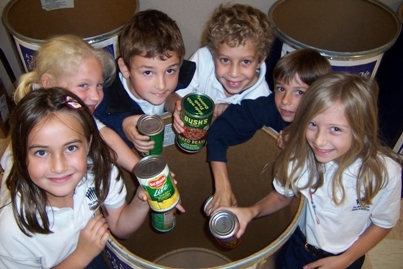 contribute to Mazon: The Jewish Response to Hunger, The Jewish Relief Agency, or another group in your area. G’mar Chatimah Tova – May we all be inscribed in the book of life. Even as Israel faces criticism that society is becoming increasingly polarized between the religious and secular populations, this Yom Kippur, tens of thousands of secular Israelis will join in prayer services all around the country as part of the Tzohar Praying Together on Yom Kippur initiative. More than two thirds of Israelis observe the sanctity of the High Holy Day, yet many secular Israelis choose to stay home since they do not belong to a synagogue or have a place to pray. As part of its mission to bridge the gap between religious and secular, Tzohar will be organizing close to 200 free explanatory Yom Kippur services in Kibbutizim, Moshavim and Cultural Centers across the country – Sefardi and Ashkenazi. In its 12th year, the Praying Together program is bigger than ever, reaching more communities and participants than ever before. Participants are provided with a special Machzor Yom Kippur and detailed handout explaining the rituals, meaning of the prayers and process (when to stand, when to bow, etc.) that takes place during the reverent day to ensure it is a meaningful and encompassing experience for all. It is the success of initiatives such as this one that have inspired Tzohar to undertake their Tzohar Communities Program. As opposed to the standard in North America , most Israelis are not members in any synagogue and do not have a relationship with religious community leaders. By placing qualified Rabbinical leaders at the forefront of communities around Israel, the Tzohar program works to establish the synagogue as a community center where the religious and non-religious are openly accepted and feel welcome.